Several years ago, Collectable Automobile magazine called Lansing’s R.E. Olds Transportation Museum “one of the ten best small car museums in the country.” We still agree. Housed in an old city bus garage on the banks of the Grand River in downtown Lansing, Michigan, the museum preserves and celebrates not just automobiles but trucks and a variety of other locally made products with wheels and motors. Plenty of artifacts and displays make it remarkably entertaining as well as enlightening. With a substantial General Motors presence, there have been times in the past when more cars were made in Lansing than in Detroit. In recent years, a new GM assembly plant was built west of town and the famous Grand River plant was entirely rebuilt to produce a variety of Cadillacs. The next-generation Camaro will be added soon. Lansing has been a car town for more than a century and Ransom Eli Olds was the biggest part of that. The Olds family built stationary engines in the late 1800s when Ransom decided he would make an automobile. He experimented with a variety of designs, beginning with a steam-powered contraption in 1887. He came up with a gasoline, internal-combustion car that would be reasonably practical in 1897. He immediately formed the Olds Motor Vehicle Company, building just a few dozen cars over the next few years. 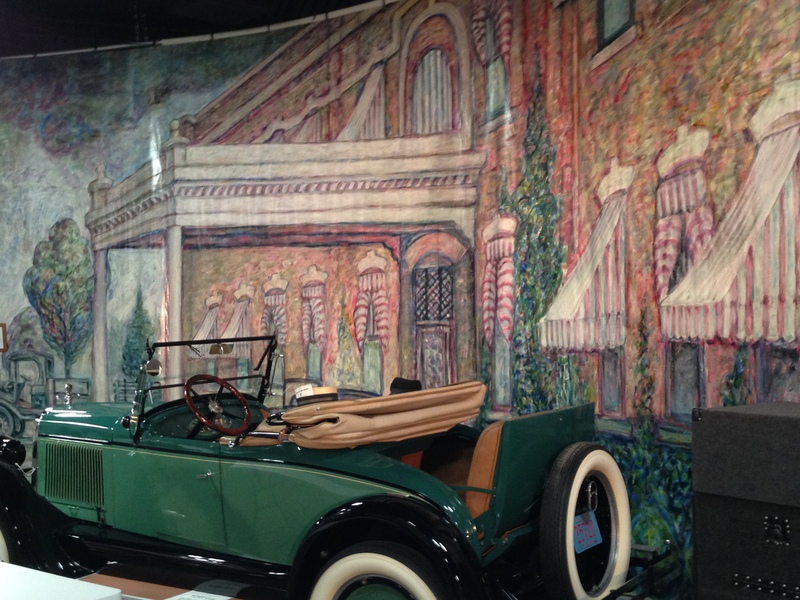 On display at the museum inside a climate-controlled glass enclosure is one of the original 1897 cars, on loan from the Smithsonian Institution. An accurate reproduction of the car also is on display where you can get a closer look at the simple but innovative mechanical details of this early car. R.E. Olds was a contemporary, friend and competitor of the pioneers of the emerging auto industry at the turn of the 20th century. He is credited with being first to use an assembly line to mass-produce automobiles at his new Detroit factory when he launched the “Curved Dash” Olds in 1901. The museum tells the Curved Dash story from many angles. It was the result of his goal to make an inexpensive car for the masses, preceding his friend Henry Ford’s similar goal by years. 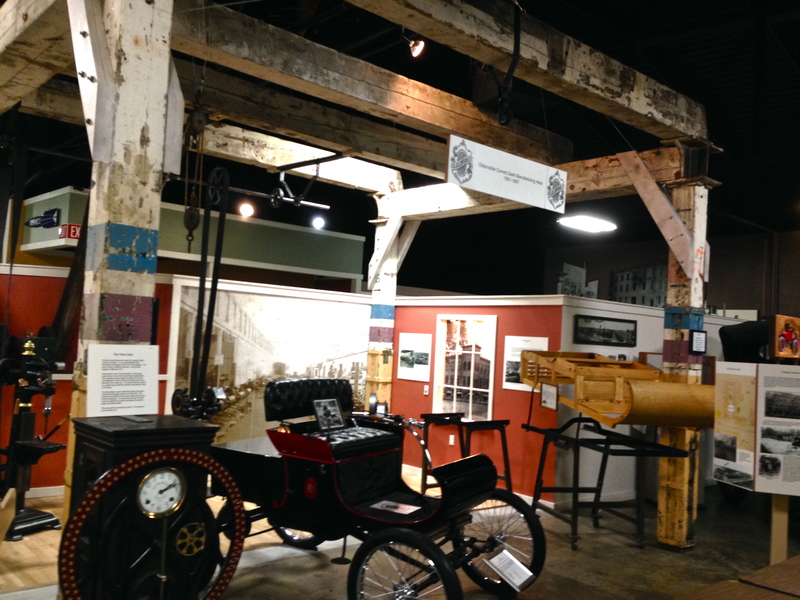 The museum features a display of a work bay rebuilt from beams salvaged from a demolished 1912 factory. The diorama shows details of how the Curved Dash Olds was made and is fleshed out with tools, equipment and parts that illustrate the process. When R.E. 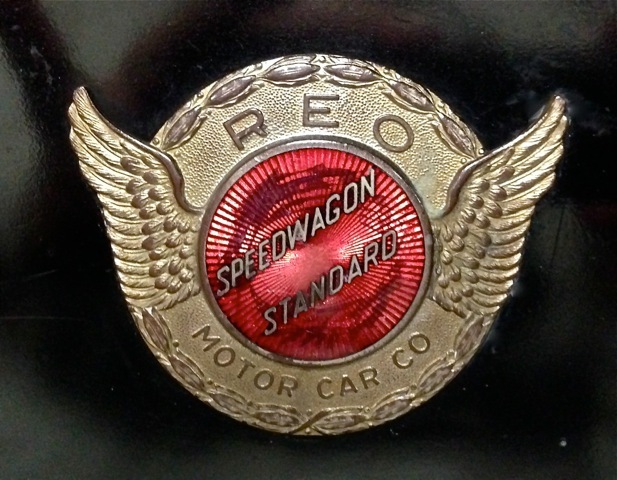 Olds left the company, he founded a new company in Lansing and named it by using just his initials – REO. That company built a variety of cars from 1905 through 1936 and trucks of many sizes beginning in 1911 through the mid 1970s. Executives from the truck building operation formed another truck building enterprise called Spartan Motors and continue to build trucks and specialty chassis today in nearby Charlotte. R.E. Olds was not the only guy making cars and other vehicles in the Lansing area. The museum also tells stories of the Bates Mule Tractor Company, Driggs Airplanes, Durant and Star automobiles, REO mowers and other products. A special display housed in a glass case near a World War II exhibit features 14 amazingly detailed, fully operational model engines – radials, horizontally opposed, and other configurations – made entirely without plans by local machinist, Leroy Martin. Other artifacts preserved in the museum are a substantial section of a large mural depicting the REO Administration Building produced to honor the 2004 REO Centennial celebration, some stained glass panels with artfully stylized rockets from the old Oldsmobile administration building, the Olds building’s huge mahogany conference table, service signs, a full-size Fisher Body Napoleonic Coach, a substantial collection of the Olds stationary engines, and a variety of the Olds family artifacts. 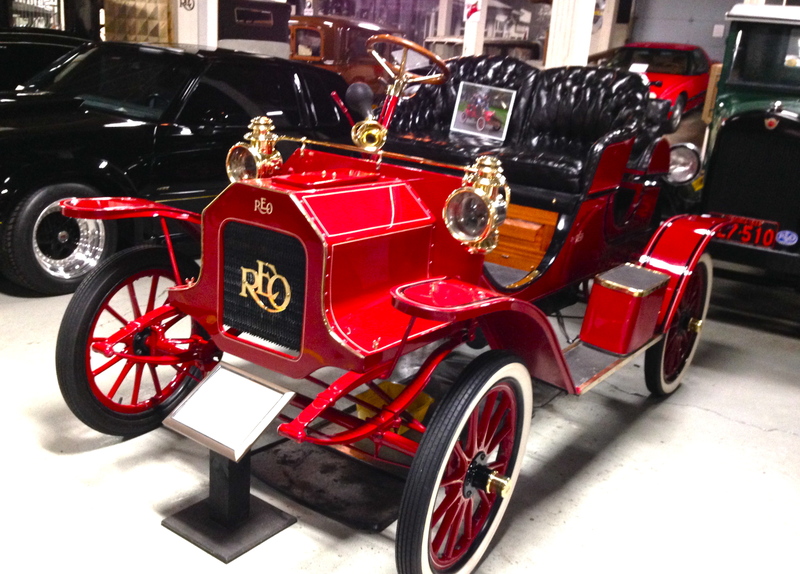 Perhaps the most fascinating display in the museum is the “Mama and Baby REO.” In 1905 the company built an exact, fully functional, one-half scale 1906 REO for display at the New York Auto Show to promote the yet-to-be-built real car. It was later sold to the circus and then disappeared for many years. The R.E. 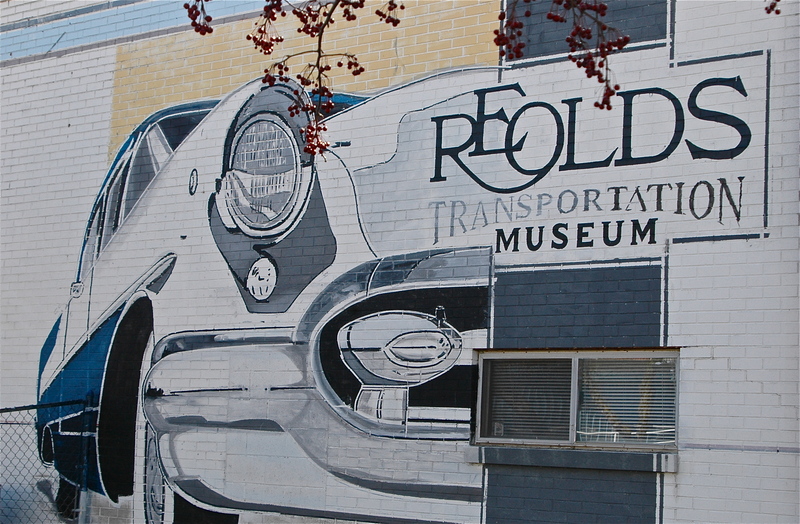 Olds Transportation Museum is at the end of Museum Drive, a few blocks east of the State Capitol Building. Open Tuesday through Saturday 10 a.m. to 5 p.m. and Sunday noon to 5. For more information go to: www.reoldsmuseum.org.